How to watch The Originals: Season 4 (2017) on Netflix Norway! Sorry, The Originals: Season 4 is not available on Norwegian Netflix, but you can unlock it right now in Norway and start watching! With a few simple steps you can change your Netflix region to a country like Thailand and start watching Thai Netflix, which includes The Originals: Season 4. We'll keep checking Netflix Norway for The Originals: Season 4, and this page will be updated with any changes. The Originals: Season 4 is not available in Norway BUT it can be unlocked and viewed! The Mikaelsons move to New Orleans and form an alliance with local witches in an effort to rule the city once again in this "Vampire Diaries" spinoff. Long ago they built a city. Now they want it back. But it's not so simple -- even for vampires, werewolves and witches. Season 1 of The Originals has 22 episodes. Because different Netflix countries have different availability for episodes, you'll need to check the episode listing below to see which are available in Norway. After centuries away, vampire-werewolf hybrid Klaus returns to the French Quarter of New Orleans to find it taken over by his former protégé, Marcel. When Rebekah arrives in New Orleans at her brother Elijah's request, she worries that Klaus is up to no good and asks Sophie for help. With the help of a reluctant Sophie, Klaus and Rebekah join forces to bring down Marcel's empire from within, despite Elijah's concerns. Rebekah is determined to get to the bottom of a strange encounter with Elijah, while Marcel lets Davina out for a night at the music festival. Sophie reveals troubling secrets from her past, and Marcel asks Klaus to accompany him to the bayou after gruesome remains are discovered. Klaus takes extreme measures to protect Hayley and their unborn child while Marcel seeks advice from an old friend and Davina works on her magic. Despite their growing tensions, Klaus and Elijah seek Sabine's help to find a missing Hayley, while Marcel approaches Rebekah with an enticing offer. Rebekah turns to Father Kieran for guidance, Elijah is troubled by his falling out with Klaus, and Marcel uncovers disturbing information. Cami is disturbed by what she learns of Klaus's past, while Hayley, Elijah and Rebekah investigate a plan to harm werewolves in the bayou. Elijah and Marcel form an unlikely alliance as Klaus takes steps to get Davina back, and Hayley is forced to make a difficult decision. Sophie approaches the others with some startling information about the Harvest Festival and presents a plan to save Davina, who is violently ill.
Marcel refuses to help Klaus when a gruesome discovery is made, and Rebekah recognizes the remnants of a sacrifice as the work of a dangerous warlock. Father Kieran has a run-in with a witch from his past, while someone from Rebekah and Marcel's past threatens to expose their long-buried secrets. Rebekah is locked up in the sanatorium and discovers a revenge-seeking witch is back, and Elijah makes a decision that endangers Klaus and Rebekah. Back in 1919, Klaus reveals details of a devastating secret, Elijah and Monique form an alliance, and Marcel and Rebekah scheme against the witches. Tensions build between Klaus, Elijah and Rebekah when they are trapped together in the City of the Dead cemetery by a witch's spell. 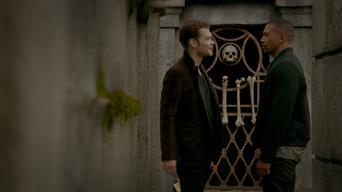 Elijah makes a power-grabbing move after accusing Klaus of inaction, and the Mikaelsons throw an extravagant party in an attempt to bring peace. Elijah focuses on restoring the family home to its former glory, angering Klaus, who sets a new plan in motion using a werewolf from his own line. Klaus and Elijah disagree about how to handle the Crescent Wolves, and a violent explosion in the bayou deepens the divide between the communities. Hayley confronts a surprising enemy as she and her unborn baby fall into peril during a celebratory wake to honor a fallen member of the community. 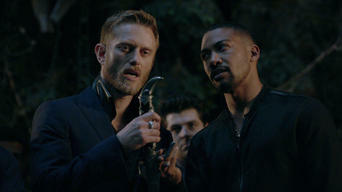 Klaus and Elijah enact a plan to change the fates of Hayley and the werewolf community, forcing Marcel to rally an army to regain control of the city. Klaus and Elijah search for Hayley as her due date nears, while Francesca meets with Oliver and Jackson about the werewolves' future in New Orleans. Season 2 of The Originals has 22 episodes. Because different Netflix countries have different availability for episodes, you'll need to check the episode listing below to see which are available in Norway. Klaus plots revenge against the werewolves controlling the French Quarter; Hayley mourns the loss of her daughter and struggles with her new status. Klaus prods Hayley to reclaim her rank in the pack; Elijah turns to a former friend; Davina and Kaleb face danger when uninvited guests arrive. A new witch arrives; Elijah grudgingly teams up with a newly turned vampire; Esther reveals a shocking secret and unveils her plan for her children. Davina takes Mikael to her family cabin to hide from Klaus; Hayley tries to stop Vincent from recruiting unsuspecting teens to build a werewolf army. Elijah relives a love affair from the distant past; Mikael takes Cami hostage; Davina makes a troubling discovery about Kaleb; Klaus and Mikael clash. Esther blackmails Klaus; Oliver lands in danger, prompting Hayley to reconnect with Jackson; Klaus is surprised by a visitor from his past. Klaus hunts for an antidote to help Elijah; Aiden, Hayley, Marcel, Cami and Josh team up to defeat Vincent; Kaleb takes Davina on a visit to his past. Rebekah must forfeit her quiet life with baby Hope and return to life on the run; Hayley ponders a tremendous sacrifice; Davina turns to dark magic. Elijah's odd behavior moves Rebekah to call a meeting that has repercussions; Cami demands answers from Vincent; Esther finds an unlikely ally. Hayley and Jackson try to enact a truce between the vampires and werewolves; Rebekah gets trapped inside an insane asylum; Klaus confronts Kaleb. Vincent creates a spell endowing him with power over his brothers; Davina chooses sides; Hayley and Jackson face extreme rituals before their wedding. A mysterious girl at the asylum intrigues Rebekah; Hayley and Jackson share sticky secrets; Klaus tries to stop Hayley and Jackson's marriage ritual. Vincent gains ground, aided by a formidable figure from his past; Kaleb is forced into a life-or-death decision; Elijah faces the fight of his life. Hayley questions the ritual that will unite her with Jackson; Kaleb harbors a devastating secret; Cami makes a startling revelation about baby Hope. Rebekah learns of her body's checkered past; Elijah seeks a witch; Freya gets Finn to take her to the father she hasn't seen in over a thousand years. 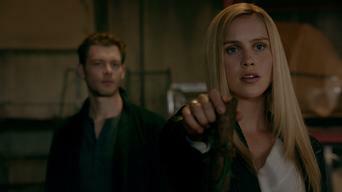 Klaus tests Freya's loyalties; Strange visions inform Rebekah that the body she inhabits wants to regain control; Jackson's frustrations grow. Klaus must trust Freya to save Rebekah's life; Josephine discloses startling information; Marcel tries to enlist Vincent to help defeat Eva. Desperate to defeat Dahlia, Klaus faces another deadly threat; Josephine helps Elijah and Marcel prepare a safe house; Aiden is torn between allies. Dahlia gives Klaus and Hayley a deadline to turn over baby Hope; Hayley devises a risky plan; Freya issues Rebekah and Elijah an ultimatum. Dahlia plots to entice Klaus; Dahlia's deadline fosters tension and teamwork; Hayley faces a tough choice; Vincent makes Davina an intriguing offer. Betrayed by his siblings, Klaus sets his sights on revenge; A dangerous new threat hunts Marcel; Davina considers a life-altering offer. Klaus plans to protect baby Hope at all costs; Freya uses drastic means to ward off Dahlia; The Mikaelson siblings prime for the fight of their lives. Season 3 of The Originals has 22 episodes. Because different Netflix countries have different availability for episodes, you'll need to check the episode listing below to see which are available in Norway. In the wake of their showdown with Dahlia, the stakes are raised for the splintered Mikaelson clan. Meanwhile, a serial killer may be on the loose. When Hayley doesn't show up during the full moon, Elijah and Jackson fear poachers. Klaus receives a dire prophecy about the future of the Mikaelsons. 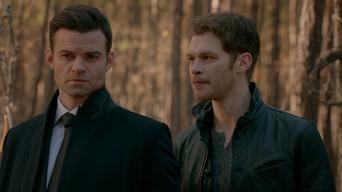 Klaus and Elijah reunite to investigate Lucien's motives. Hayley copes using unusual methods. A mysterious figure has an offer for Marcel. Elijah checks up on an old acquaintance at a gala thrown by a group of ancient vampires, where a mysterious woman approaches Marcel with an offer. 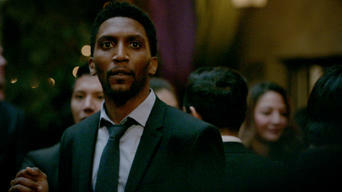 Elijah suspects that Tristan is hiding something and enlists Marcel's help to uncover the truth. Klaus receives an unexpected visit. Elijah and Freya realize that Rebekah may be the target of the Strix's latest plan. Klaus spends time with Aurora to find out where her loyalties lie. With a dire prophecy looming over them, Klaus and Elijah invite Lucien, Tristan and Aurora to a Thanksgiving gathering, hoping to negotiate a truce. Klaus is forced to follow Aurora's devious clues to try to help Cami. Meanwhile, Elijah, Freya and Hayley take drastic measures against Tristan. Freya attempts to reverse a crippling curse that may expose one of her siblings, even as she finds herself the target of the Strix's latest plan. Klaus declares war on Aurora and Tristan. Vincent must use his magic against his will. Hayley and Jackson become pawns in Tristan's twisted game. While Klaus deals with pressing matters at home, Elijah reluctantly aligns with Aya. Meanwhile, Davina is conflicted about an enticing offer. 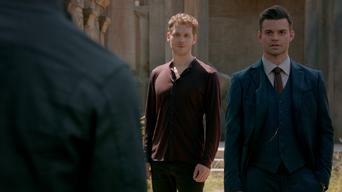 Klaus squares off with an unlikely foe to stop a powerful weapon from destroying his family. A fight for control of the Strix turns violent. A vengeful Aurora sets a trap for the Mikaelson brothers, while Davina conjures up an ally who may hold the key to a lifesaving spell. When Klaus and Elijah become stuck in a magical trap, Freya enlists help to get them back. Aya and The Strix's coven of witches work on a risky spell. Klaus must deal with an ancient vampire who has a vendetta against him. Marcel turns to Davina for help after several Strix members go missing. Rumors about the last remaining white oak bullet draw Klaus's enemies to New Orleans. At the compound, Kol confronts a face from his past. 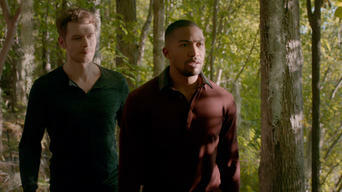 While the feuding Mikaelson brothers team up against a new threat, Klaus and Hayley try to figure out Lucien's agenda. Davina worries about Kol. As Klaus's foes close in, Elijah and Freya come up against a powerful force. Davina seeks Marcel and Vincent's help as Kol's behavior worsens. Klaus mounts a rescue effort with the help of his family and allies, while Davina receives some life-changing news. Klaus, Elijah and Freya desperately search for a way to take down Lucien, but an urgent plea for help forces them to put their efforts on hold. Freya's visions reveal that her family will soon face a dangerous new enemy. Vincent and Kol travel to the ancestral world to face the witches. Klaus's enemies arrive in New Orleans, and he stands trial for centuries of bloodshed. Meanwhile, Marcel receives an unexpected visitor. Season 4 of The Originals has 13 episodes. Because different Netflix countries have different availability for episodes, you'll need to check the episode listing below to see which are available in Norway. After five quiet years, Klaus's old enemies swoop into town, threatening the vampire-witch truce. To cure the Mikaelsons, Hayley acts on a dicey tip. Elijah's crew ramps up the search for Klaus, as the imprisoned Klaus battles his inner demons. Marcel learns about Hayley's quest for the venom cure. As Klaus bonds with Hope, his siblings debate their future. Vincent, disturbed by new abductions, tells Marcel about his past with sacrificial magic. Hayley brings Hope to Vincent, whose curative spell leads to a revelation about the abductions. Now allied, Freya and Keelin plot to rob Marcel. Haunted by dark visions, Klaus and Marcel struggle to resist The Hollow, while Freya readies her purifying potion and Hayley seeks help from Mary. Hoping to expose The Hollow's allies, the Mikaelsons host a lavish party in the Quarter, while Hayley uses Freya's magic to find answers in the past. While Freya casts a spell to protect her family from The Hollow's servant, Elijah pressures Vincent to attack The Hollow through a dangerous ritual. Guided by an old foe, Klaus and Hayley go to the ancestral world for help with The Hollow, while Marcel and Elijah team up to find the missing bones. While The Hollow, in Sofya's body, holds the wounded Elijah captive, Vincent and Marcel plot ways to kill the spirit before it becomes unstoppable. As Freya attempts to revive Elijah by entering his subconscious through a spell, Marcel tracks down The Hollow, whose blood he needs to save Sofya. Kol must choose between lover Davina, whose new life depends on The Hollow, and his family, who must sacrifice The Hollow to free Elijah's soul. After Sofya reveals that The Hollow is alive, Vincent casts a spell to learn the secret to killing her, while the Mikaelsons revise their exit plans. To save Hope from The Hollow, the Mikaelsons agree to Vincent's blood sacrifice, even though it requires they live separate lives for eternity. Season 5 of The Originals has 13 episodes. Because different Netflix countries have different availability for episodes, you'll need to check the episode listing below to see which are available in Norway. Hope gets suspended. 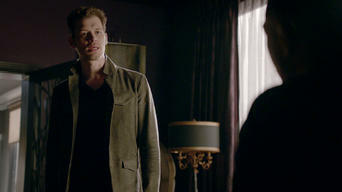 Caroline confronts Klaus about his violent actions. Elijah is missed by his siblings. Marcel asks Rebekah an important question. Klaus searches for Hayley and is surprised by what he discovers. Marcel seeks justice on behalf of the vampires. Vincent looks for answers. Elijah relearns how to be a vampire with the help of a woman named Antoinette and must decide what he wants to know about his past. 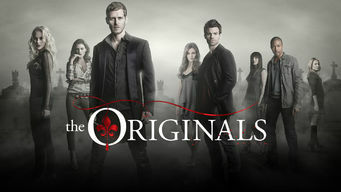 Klaus puts pressure on the three New Orleans supernatural factions as he searches for Hayley. Freya visits Hope at Mystic Falls. Hayley's kidnappers make a demand. Klaus remembers hatred he's experienced in the past. Antoinette has an unexpected revelation for Elijah. Greta pits Elijah and Klaus against each other as Roman follows his mother's wishes and brings Hope to Shiloh Place. The supernatural factions of New Orleans grieve. Ivy discovers troubling news about the magic separating the Mikaelsons. Elijah offers up a deal. The Mikaelson siblings are finally reunited. Trapped in a chambre de chasse together, they must help Elijah face his memories in order to get free. Klaus worries about Hope, whose powers threaten to overwhelm her. Declan demands answers from Elijah about Hayley. The vampire purists attack. Klaus uses unconventional parenting measures to help Hope. Antoinette asks Elijah for help. Declan worries about his sanity. Vincent grieves. Freya confesses something to Keelin that could threaten their special day. Elijah reminisces. Klaus asks Davina for help with Hope. With a full moon on the horizon and the dark magic threatening to overtake Hope, Klaus concocts a new plan with Caroline in Mystic Falls. Klaus tries to fight off the darkness inside him as his loved ones grapple with how to support their complicated brother, friend and father. Want to learn how to get American Netflix in Norway?